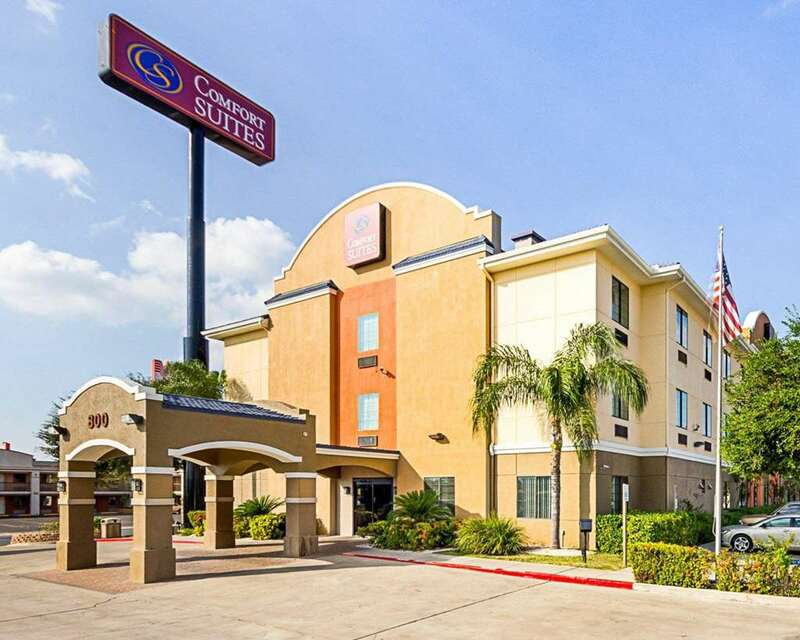 Get more of the space you need to spread out, relax or work at the smoke-free Texas Comfort Suites At Plaza Mall hotel in McAllen, TX located off Interstate 2. Nearby destinations include La Plaza Mall, McAllen International Airport, Museum of South Texas History, Santa Ana National Wildlife Refuge and South Texas College. Enjoy amenities like free hot breakfast, free WiFi, fitness center, guest laundry facilities and meeting and event space. Spacious suites include a flat-screen TV, refrigerator, safe, desk with ergonomic chair, sofa sleeper. Also, earn rewards including free nights and gift cards with our Choice Privileges Rewards program.